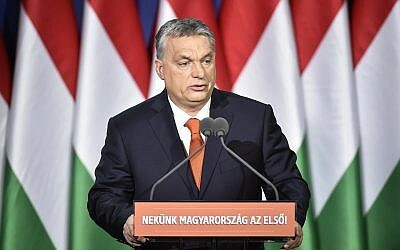 GENEVA, Switzerland â" Hungary on Monday demanded that the UNâs top human rights official step down over his âunacceptableâ an d âinappropriateâ criticism of Prime Minister Viktor Orbanâs anti-migration rhetoric. During the opening of the 37th session of the UN Human Rights Council, Zeid warned of a general deterioration in the respect for rights around the world, but Orban was the only leader singled out by name. âToday, oppression is fashionable again. The security state is back and fundamental freedoms are in retreat in every region of the world. Shame is also in retreat,â he said. 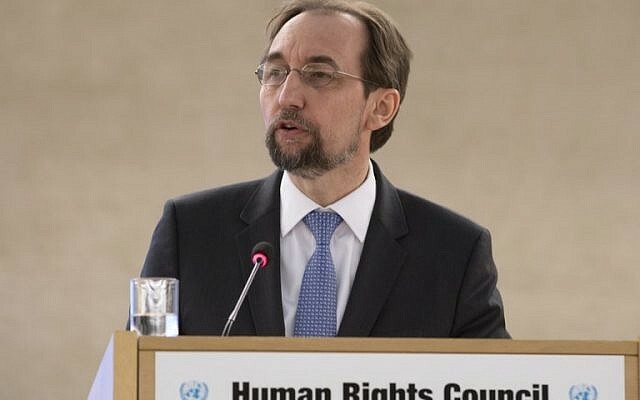 âDo they not know what happens to minorities in societies where leaders seek ethnic, national or racial purity?â asked Zeid, who has already announced he will not seek a second term when his mandate expires later this year. He also voiced outrage that Zeid had not remained in the room to listen to the response to his comments from member countries. âIt is an obvious question: Where is the high commissioner now. Why doesnât he listen to the member states?â Szijjarto asked. He stuck to Orbanâs hardline immigration stance, insisting the UN and other international organizations had no business telling Hungary who it should allow into the country, or that it should not criminalize illegal migration. âIt is stoppable and we have to stop it,â he said.